REEL-TO-REEL or open-reel audio tape recording is the form of magnetic tape audio recording in which the recording medium is held on a reel, rather than being securely contained within a cassette. In use, the supply reel or feed reel containing the tape is mounted on a spindle; the end of the tape is manually pulled out of the reel, threaded through mechanical guides and a tape head assembly, and attached by friction to the hub of a second, initially empty takeup reel. 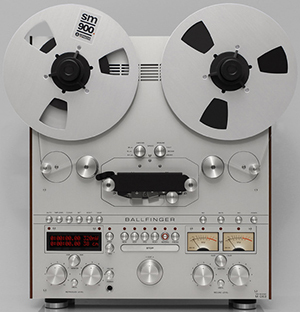 Ballfinger’s beautiful reel-to-reel tape decks are for nostalgia lovers - The Verge. For reel? The return of the most delicate, but most considered, kind of audio - The Telegraph. museum of magnetic sound recording - "Preserving the history of sound recording." 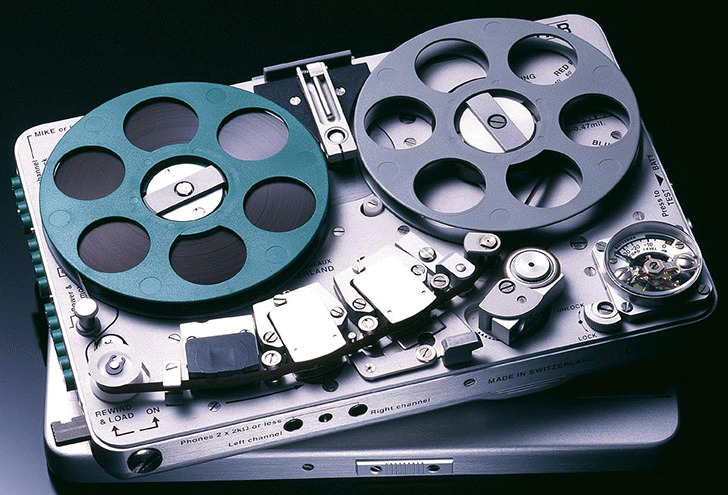 Reel-to-reel audio tape recording - Wikipedia. 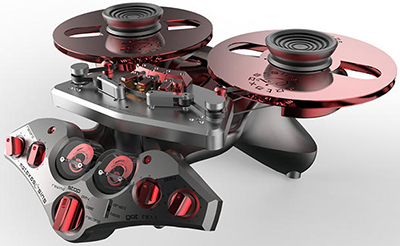 Reel-to-reel tape is the new vinyl - The Verge. SOUND RECORDING AND REPRODUCTION - Wikipedia. Akai - Museum of Magnetic Sound Recording. Metaxas & Sins - since 1981. ‘GQT’ (Georges Quellet Tribute) is a portable analogue tape machine designed for on-location recording as well as for home or studio playback. NAGRA - since 1951. "Recorded moments that never die..." Portable professional audio recorders produced by Kudelski SA, based in Cheseaux-sur-Lausanne, Switzerland. All models. Pioneer - Museum of Magnetic Sound Recording. REVOX - since 1951. "Reel to reel machines." The world turns. Revox tape machines. A success story. Stellavox - since 1955. "Professional Audio Equipment." Company based in Switzerland and is most noted for their compact portable reel-to-reel magnetic tape audio recorders used by radio and TV-stations and motion picture location sound mixers as an alternative to the Nagra recorders. Tandberg - Museum of Magnetic Sound Recording. Teac | Tascam - Museum of Magnetic Sound Recording. Technics - Museum of Magnetic Sound Recording. Uher - Museum of Magnetic Sound Recording. Wollensak - (1899-1972). Wollensak reel-to-reel tape recorders were prized for their robust construction and value.